Trainer John Thompson has gone inside the camp to try and 'gun down' the Chris Waller army in Thursday’s $150,000 Polytrack Rowley Mile at Hawkesbury. 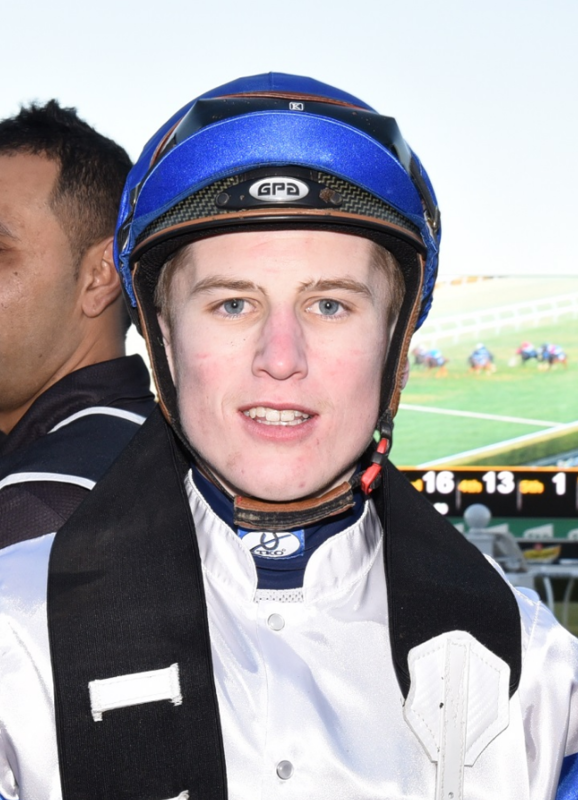 Thompson got in first and booked talented New Zealand apprentice Sam Weatherley, currently on loan to Waller, for his representative Special Missile in the Listed feature. A $13 chance, Special Missile shapes as the value runner in the best renewal in years of Hawkesbury’s historic race, which was first run in 1881. Waller, already the winner of two Rowley Miles (Snow Alert in 2010 and McCreery in 2016), has seven runners in the 15-horse field. His team is headed by $5.50 second favourites Mister Sea Wolf (James McDonald) and I Am Serious (Jay Ford). His other starters are Invinzabeel (Tye Angland), Alward (Kathy O’Hara), Amovatio (Lee Magorrian), Black On Gold (Tommy Berry) and Dagny (Jason Collett). Last-start winner Flow (Kerrin McEvoy) is a firming $4 favourite with TAB.com.au fixed odds. Special Missile, a five-year-old by Smart Missile, is a model of consistency, having won five of his 20 starts and been placed on nine occasions. Five of those placings have come from his last six starts this campaign; the latest when third to Mile rivals Mister Sea Wolf and Flow in the Listed Winter Challenge (1500m) at Rosehill Gardens on July 28. Special Missile now meets both those horses on 2.5kg better terms, and is a Hawkesbury winner. He has raced twice at the track, finishing second in a 1300m Maiden in November 2016 and landing a 1500m Class 1 there in July last year. Special Missile has also trialled twice at Hawkesbury; coincidentally also for a win and a second. Thompson kept him up to the mark for tomorrow’s assignment by trialling him at his home track at Randwick on August 13 when fifth to Mister Sea Wolf over 1250m. He made the running along with Cismontane (seventh of nine runners) and wasn’t pushed out in the straight, finishing only one and a half lengths from the winner. The withdrawals this morning of topweight Red Excitement and Shiraz (first emergency Live To Dream was scratched yesterday) paved the way for second emergency Dynamic Dynasty to gain a start – and he will run. Apprentice Rachel Hunt, who was to have ridden the dual acceptor in the easier ONE80TC Benchmark 67 Handicap (1400m), will partner him in the Mile. “We were going to run in the Benchmark 67, but the owner has had a change of heart and is keen to line up in the Rowley Mile,” Hawkesbury co-trainer Mitch Kearney said this morning. Dynamic Dynasty is the rank outsider of the field at $151. Five jockeys riding in tomorrow’s edition have already tasted success in the Rowley Mile. Aside from Flow’s jockey Kerrin McEvoy, Kathy O’Hara scored in successive years on The Man (2005) and Fighting Fund (2006), Glyn Schofield (Show A Star) scored on Mouro in 2013, Tommy Berry was successful on McCreery (2016) and Tim Clark (Cismontane) partnered hotpot Arbeitsam to an easy victory last year. Gai Waterhouse and co-trainer Adrian Bott will be represented by Northwest Passage (Adam Hyeronimus) and Cismontane (Clark). Both are resuming and have gear changes. Northwest Passage will race without blinkers, and Cismontane has a cross-over nose band back on again and a nasal strip off. Waterhouse has won the Rowley Mile on six occasions. She first won it with Adamantly in 2001 and then with Fiery Venture (2003), Beauty Watch (2007), Rabbuka (2008), The Offer (2015) and Arbeitsam last year. Hawkesbury this morning was rated a Good 4 with a penetrometer reading of 4.87. The rail is out 1m from the 600m to the 400m, and in the TRUE position for the remainder. No rainfall has been received in the past week, but 2mm of irrigation was put on the track in the last 24 hours and a total of 26mm for the week. RACE 1: WAIHEKE, Layton Abbey, Zourhea. RACE 2: SHOW ME THE HONEY, Invincible Lad, Tiny Taj. RACE 3: COMPACTOR, Gem Setter, Quenya. RACE 4: OYSTER BAY, Autumn, Scepter Of Power. RACE 5: GRAND BOUQUET, Chamfer, Don’t Judge Me. RACE 6: MOLLY MALONE, Jarhead, Carif. RACE 7: MISTER SEA WOLF, Flow, I Am Serious. RACE 8: ONTHETAKE, Kathmandu, Republic.